I know that Christmas has past, but I finally feel like I can share the gifts that I made and gave. 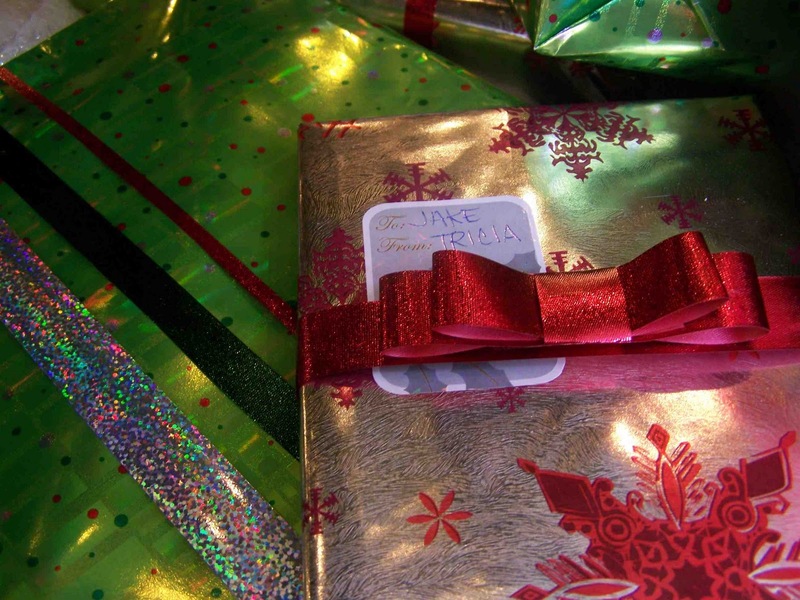 We just opened gifts with my parent yesterday, and it's time to share a few things with you. This is part one of my homemade Christmas gifts. I have some additional gifts that I'll share with you later this week, but as for today, here are a few that don't currently include tutorials. I ended up making four bow ties, two for my husband, and two for my brother in law. My husband has officially declared that he is a bow tie guy, and so I had to add a couple to his collection. 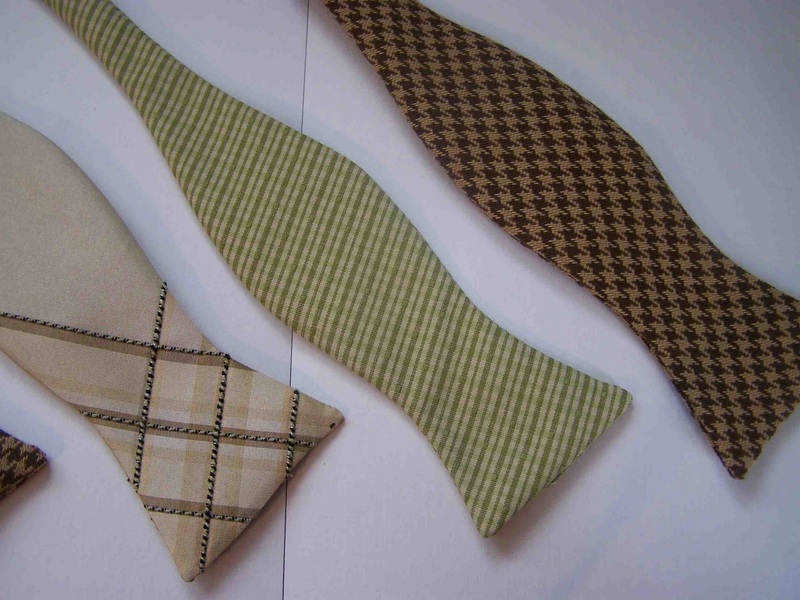 You can find the David Bow Tie pattern at burdastyle.com. I made up a few headbands for my sister-in-law. She's expecting her first baby, and there's nothing nicer than a headband to make you feel semi-put together at the end of a pregnancy, or after the baby comes. 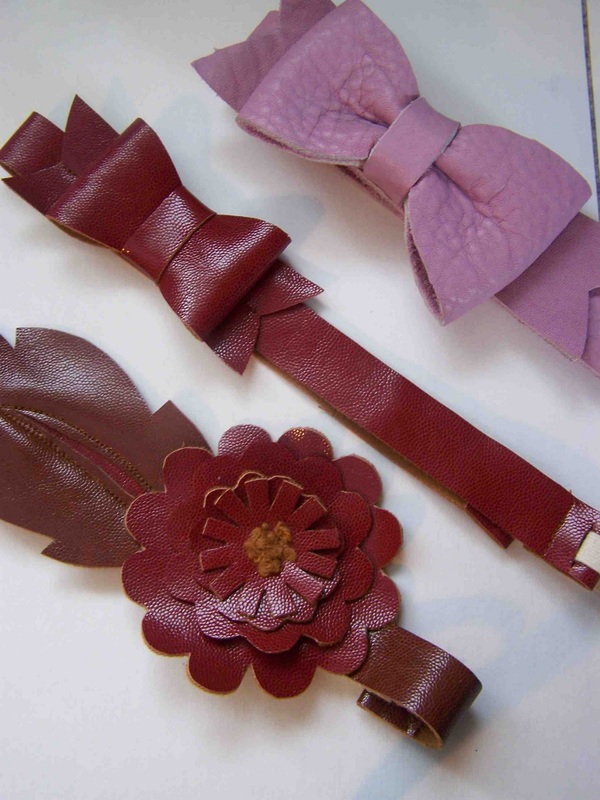 You can find the leather bow tutorial here, and information on the headband construction here. My Father-in-law has an addiction to tacos, and I don't blame him one single bit. I'm quite fond of tacos myself. I made this tortillero for them, so that their tortillas would stay nice and warm at dinner time. We also gave them a lime press and some freshly made corn tortillas. 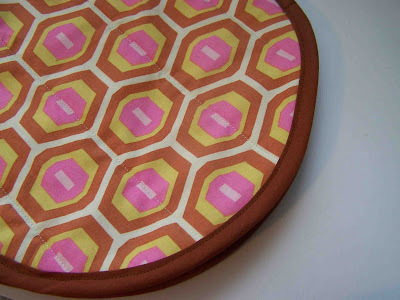 Did you miss the tortilla cozy tutorial? You can find it here. Both of our mothers were given needle books. I love mine so much, and figured that they would both appreciate a storage book. I added some simple stacked flowers to dress them up a bit. Both of our mothers do some sewing, so I knew that they would be used. After giving one to my Mother-in-law, we found out that she normally stores her needles in the curtains, hopefully this is a better solution. Just a few of the quick little projects that I made for Christmas. I'll have some tutorials and additional Christmas gifts later this week. Feel free to participate in the polls on my side bar. I really appreciate you input. Wow those gifts are just beautiful Tricia! I bet your family was tickled by them all! I wonder if my husband would go for a bow tie? I love that idea! beautiful gifts! i love the needle books and headbands! Very cute! 2011 will a year of homemade gifts, so I'm collecting ideas early. 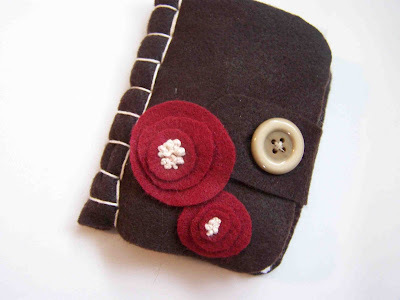 I love that needle book! 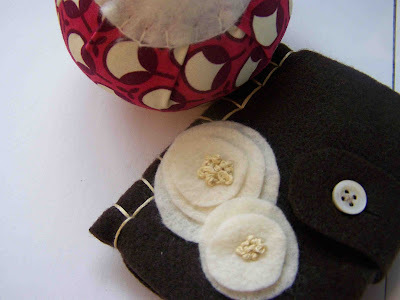 What a great gift idea for someone who sews! I hope you'll come link this up at the craft catwalk today! Whooo - I love the tortilla warmer and headbands, such cute creative ideas. Thanks for sharing the tutorials. Especially love the needlebooks and sweet pincushion! The felt flowers are a cute touch. I have some of that same Joel Dewberry lying around....may have to whip one up myself! You made a lot of nice gifts! I hope I can do all homemade next year! 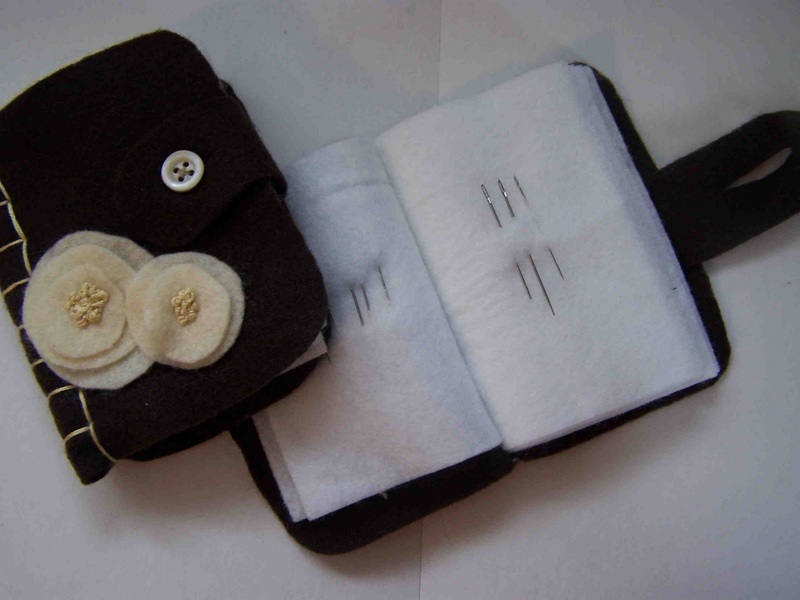 Very nice gifts....I'd love to make my sister a needle book...she has one already but hers is so big...this one you posted here looks much nicer for traveling. I hope you'll post a tut on it. 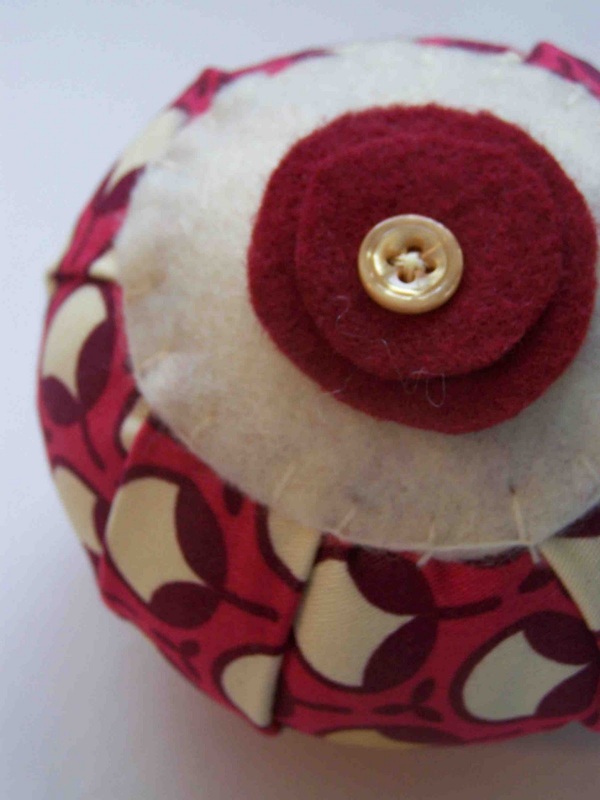 I love the pincushion! So pretty! Super cute stuff and so creative! Thanks for linking up at Giggles, Glitz & Glam! When I shop for gifts I traditionally look for unique on of a kind gifts and personalized gifts, as I've said many times before I think they make gift giving way more fun and personalized gifts. Love you ideas! I'm featuring this today! Come grab your button if you'd like! I hope you'll come link up more of your creativity, too! Luxury Gifts for Men is one of my business, Our selection focuses on simplicity and quality as well as fashionable and choice for todays youth. Thanks for sharing, our Sell Rolex Watch business. It Providing high quality products at competitive prices alongside outstanding customer service have helped us evolve into what we are today. I love the tortilla warmer and headbands, such cute creative ideas. Thanks for sharing the tutorials.